The main reason why employees and freelancing pros prefer to use their personally owned mobile devices like smartphones, tablets or phablets over company-issued PCs is that it is a more practical and versatile web access tool. Mobile devices could, after all, be considered pocket-sized PCs since they usually have the same online access capabilities as desktops and laptops and could be handy especially in mobile work situations. Telecommuter work set-ups in companies also continue to contribute to the mobile device for work preference among non-workstation inclined professionals. With the advancements made in cloud-based business VoIP technology in recent years, the mobile device has earned for itself a seriously relevant niche in business telecom. In fact, mobile device use is seen to become even more pivotal with regards to the development of new and more convenient virtual retail methods. All this point out to only one truth: Mobile devices and apps make things simpler and people more efficient. It’s about time people got a better grasp of what the tech offers them professionally. MightyText: The app allows you to text from any device so you could send and receive SMS and MMS from your tablet or computer using your current Android phone number. All messages stay in sync with your phone’s SMS inbox. 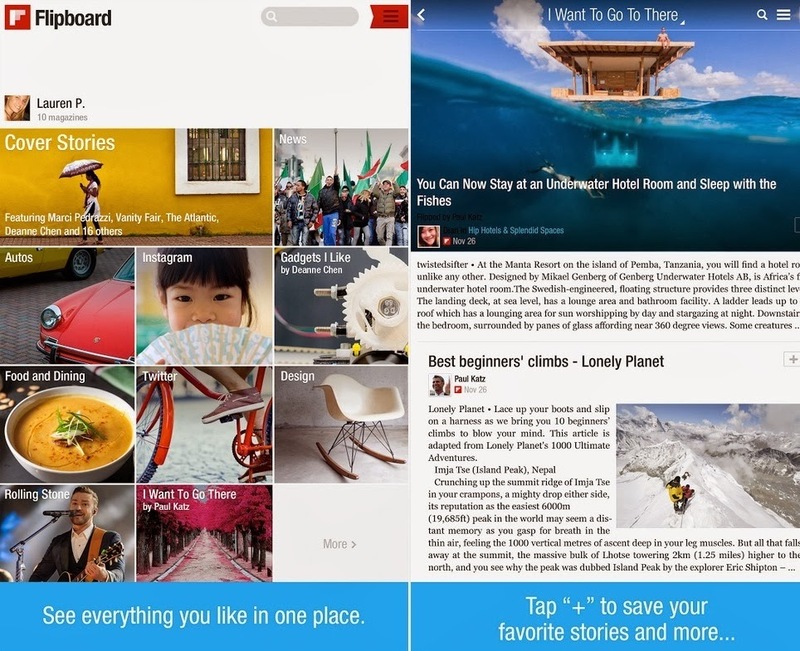 Flipboard:If your work deals with a lot of content forwarding and storifying in aid of brand publishing, online marketing or virtual advertising, this app is a thoroughly practical one to use. It enables you to create, edit and share your own magazines from the web. Manage your magazine’s content from a convenient dashboard; rearrange and delete items; set covers and then share them with friends, customers and business partners. The app works with iPhone and iPad and could be acquired via the Apple App Store. Readtime:A useful app for info and research, Readtime is perfect for catching up on some reading via the Pocket or Readability reading list. By setting up a duration log Readtime intuitively queues up the right number of articles to fill your available time. This allows you to get some focused info gathering and reading time. You could swipe to archive recently read articles. If you have time to spare on the duration log, the app automatically serves up another article for you to read through. Write: Paperwork becomes so much more professional and polished when an app like this gives you the chance to write in a beautiful and clean way. Perfect for writing creative briefs, explaining important textual information clearly, or even composing business correspondence. Works with iPhone and iPad. Postable:Professionals also need to acknowledge customers, contacts and coworkers in appreciation for their continued patronage, support and hard work. This kind of courtesy could be made felt via business correspondence made easy. Access the postable.com site for this and begin the good business practice in four easy steps: Create a free, secure online address book that friends could fill up for you; pick card designs you like; type in as many thank you cards you want using real handwriting; press send and postable.com prints, stamps and mails them to everyone for you.